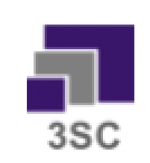 3SC (SS Supply Chain Solutions Pvt. Ltd.) was incorporated in 2012 with the sole aim of providing Best of Breed SCM solutions such as Managed Integrated Solutions (End 2 End), 4PL Neutral Solutions, Inventory Management, Procurement, Network Solutions & Design, International Freight, Domestic Road/ Train / Air Distribution, Warehousing to Corporate across various verticals. 3SC is a 4PL firm and working on LLP model and we offer end to end supply chain consultancy to various corporate houses in India. Specializing in helping companies to create a lean and sustainable 3PL platform to cater the Indian market. We provide workable strategic solutions and implementation assistance to various companies for leveraging the India advantage. Operates out of over 150 offices and agencies in more than 50+ countries. With regular services on over 70 shipping lines Manages a dense network capable of meeting the expectations of its customers all over the world. Offers services in overland transport, sea freight, air freight Contract & Lead logistics services through partners. 3SC is seeking a driven, customer-facing Senior Consultant with strong project management skills to work with clients and team members to ensure the success of meeting client deliverables. Our proprietary solutions help our clients overcome volatile demand and supply chain challenges. The Senior Consultant is responsible for identifying business requirements, requirements management, functional design, prototyping, process design (including scenario design, flow mapping), testing, training, defining support procedures and supporting implementations. 3SC's consulting professional's help clients identify and solve their most critical information and Supply Chain challenges. We provide advisory through end-to-end implementation services as well as outsourcing services. We are recognized in the marketplace for capabilities within predictive demand analytics and supply chain management. - Analyze business/technical requirements and objectives, perform fit/gap analysis, and provide client recommendations. - A willingness to be based out or Travel to Client Location in India & Overseas.